sportssoftball: Sports: News-Editorial: Award-Winning Evansville Photographer: Molly Bartels specializing in editorial, wedding and art photography in Evansville, Indiana. 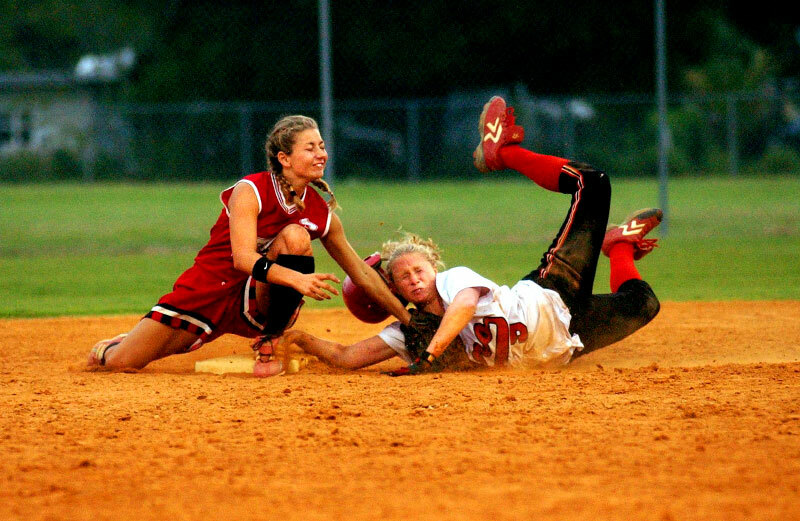 South Fork's, Brittany Giunta, tags Vero Beach's, Lindsey Cook, as she slides into second base in the fifth inning of the Treasure Lake Conference Championship in Vero Beach on Friday. Vero Beach defeated South Fork 4-2.